When customers see the Which? Trusted Traders' logo, they know they’re buying from a business that they can count on. 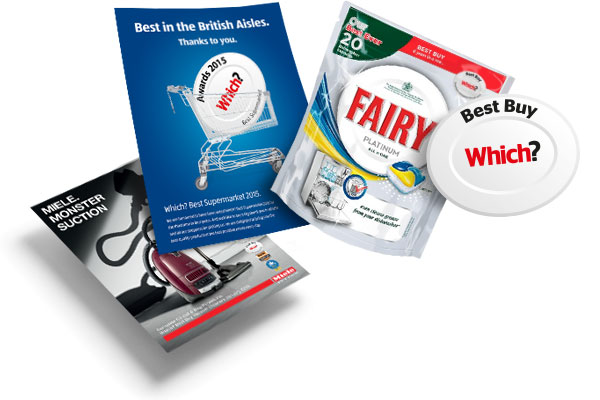 Get the recognition you deserve from the UK’s largest independent consumer body. Which? Trusted Traders is an endorsement scheme that recognises trustworthy traders. Which? has been helping consumers for over 60 years, and assesses and endorses traders who meet our high standards. Like the Best Buy logo, an endorsement from Which? Trusted Traders gives your customers confidence. We operate all over the UK, and we endorse traders in the consumer home improvement, private motor servicing and repairs industries. Every business that applies is assessed by an experienced trading standards professional who makes sure they meet our high standards. Which? Trusted Traders is completely free for all consumers, not just Which? members. Find out why consumers value an endorsement from Which? Which? exists to make consumers as powerful as the organisations they deal with. We have 1.5 million members and supporters, making us the largest independent consumer body in the UK. The Which? logo is regarded by consumers everywhere as a sign of reputation and trust. If your product or service has been awarded a Which? Best Buy or Recommended Provider, you know it's a mark of excellence that will help you stand out from the crowd. Which? Trusted Traders was set up to ensure that the recommended trader market was delivering better value for consumers and traders. Find out more about Which? Show off your status by displaying the Which? Trusted Trader endorsement icon on your website, vans, clothing, invoices, and more. Create a photo gallery to showcase your best work and ask your customers to leave a review. If you’ve got a dispute with a customer that you can’t resolve, you have access to an independent Alternative Dispute Resolution (ADR) service. Stay on the front foot with regular updates on industry news and changes in regulation that may affect your business. We advertise Which? and Which? Trusted Traders online, so you can reach more customers. Plus you’ll get a subscription to Which? What’s in a Which? subscription? 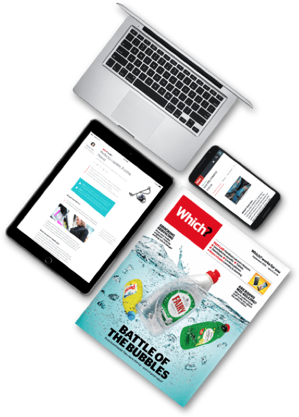 Full access to which.co.uk, including thousands of in-depth product reviews (like our Best Buy boiler report) and information about our latest campaigns to help consumers. Plus the Which? magazine delivered to your business every month. Answer six simple questions to make sure you’re eligible to apply. Pay a one-off non-refundable fee from £240 (incl. VAT) towards the cost of your assessment. Get a credit report to check your business’ financial health, check your trading history and run a few background checks*. Call you to talk through your application and ask for any documents we need to see. If you pass these checks, we’ll book your assessor visit. If you are operating in Hertfordshire or Islington, one of our local authority partners, you will also need a local Trading Standards intelligence check, plus a DBS check. *We reserve the right to request a DBS check as part of a standard application. One of our trading standards assessors will visit your premises for a face to face assessment*. You will be required to seek permission from a selection of your most recent customers to enable us to obtain customer references. *If you trade as an electrician and part of NICEIC/ELECSA, the assessment will take place over the phone based on receipt of a satisfactory report from the respective governing body. We’ll email you any actions which you must complete within 30 days of your application. We will also check your customer references. Once you meet the criteria, a senior member of our assessment team will sign off your application and you can join the scheme. We’ll send you our terms and conditions and code of conduct for you to agree to. We’ll set up your monthly membership fee – this starts from £58 a month (incl. VAT). For franchises or business with more than 19 employees a higher membership fee applies. Read more about our pricing information. Your account manager will call you to help you get started. Update your profile on our website and start receiving reviews from your customers. Complete your post endorsement actions within three months. Stand out from the rest. Become a Which? Trusted Trader. When customers see the Which? 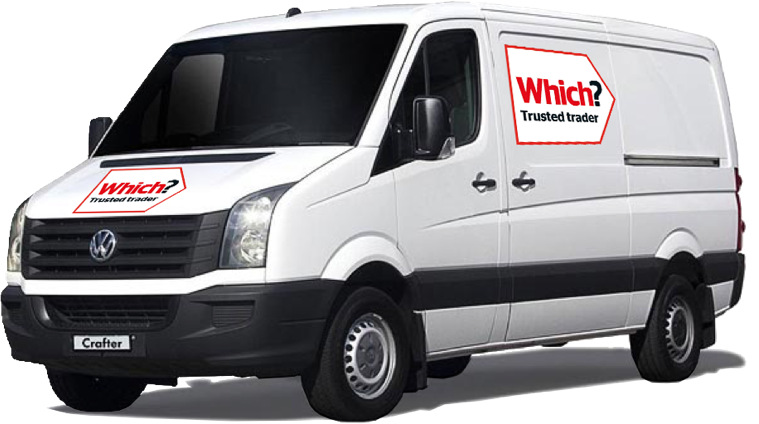 Trusted Traders logo, they know they’re choosing a business that they can count on. Apply now to get the recognition that you deserve. Monday to Friday: 9am to 5pm. Standard call rates apply. The cost of applying depends on the size of your business. We charge just £240 (including VAT) if you’ve got fewer than 19 employees. This goes towards the cost of your assessment – we cover the rest. It’s non-refundable, so if you don’t pass or you decide not to join, we can’t give you the money back. If you’re invited to become a Which? Trusted Trader, membership starts from just £58 (incl. VAT) each month, depending on the size of your business. It's benefited our business in a lot of ways. It gives our customers peace of mind and it has also given us the confidence that what we are doing is right.